Please refer to our stock # TR1011 when inquiring. 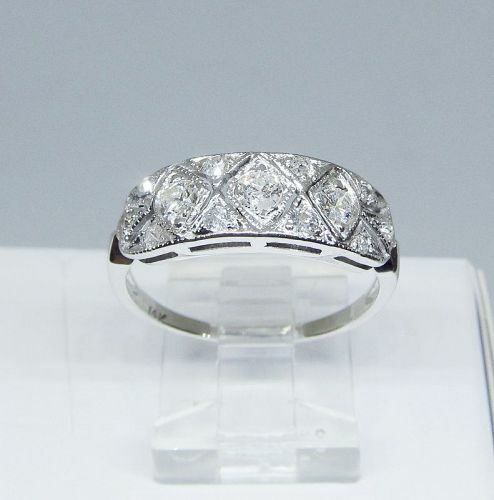 This lovely openwork 14Kt white gold ring is set on top with 3 larger and 10 smaller old-mine diamonds. The approximate total weight of all diamonds is 0.50Ct. The top of the ring is 7 millimeter wide, the ring size is 9 ¼ and it can easily be sized.